So I did it! 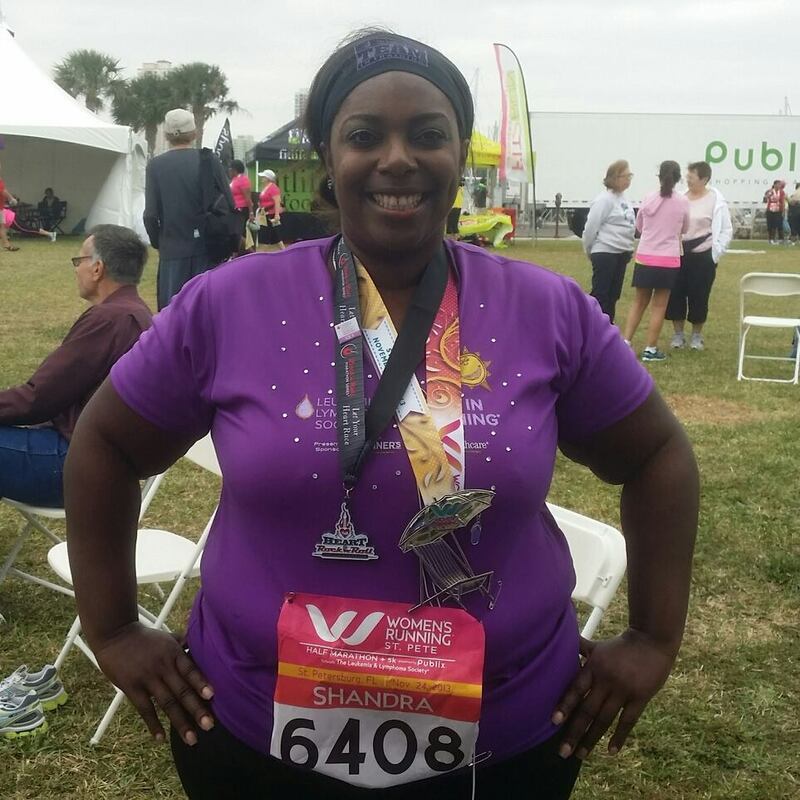 Last Sunday, 11/24/13 I completed my first half marathon! It was a great race and I had lot of support. The weekend started with me volunteering at the expo getting to meet wonderful people and talk about Team In Training. On Saturday I had the pleasure of attending the Inspirational Luncheon with my mother and a friend. 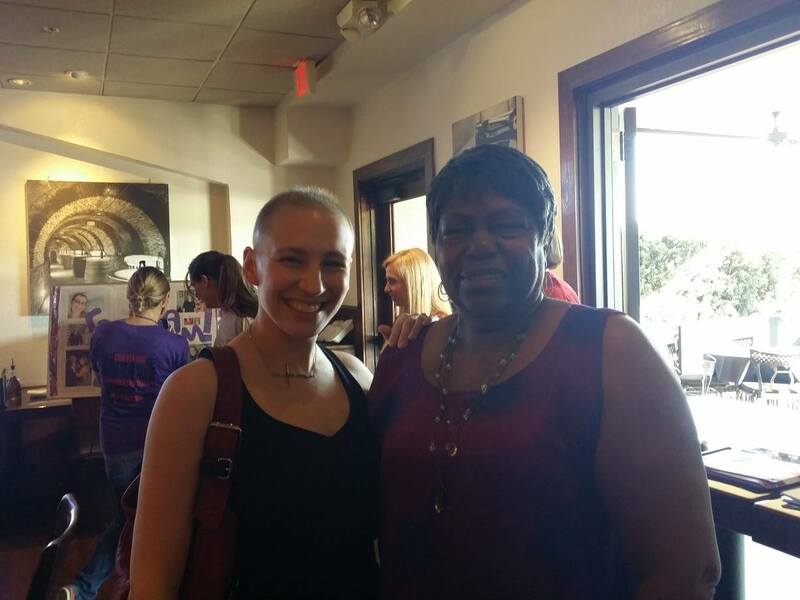 There was a remarkable young lady there who has Hodgkin’s Lymphoma and has continued to dance at Busch Gardens throughout her treatment (she is pictured with my mother). I was so inspired by both of these ladies. 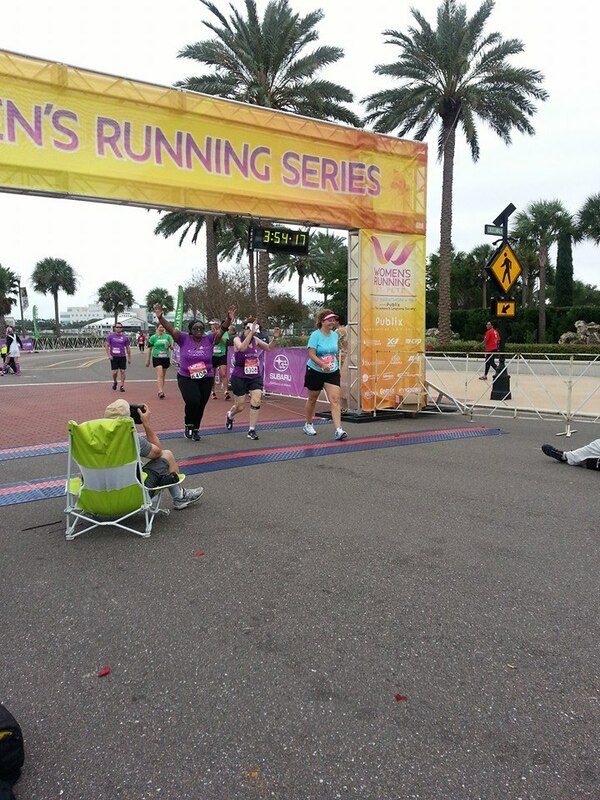 On Sunday, I completed the race. While making going through Mission Mile, my friend was able to snap a picture of me next to my mother’s poster. It was great to see her face along the route to remind me of why I was doing the race. I definitely had my doubts during the race. Passing mile 5 I realized that I had gone further than I did two years ago when I got hurt right before the half marathon I was training for at that time. My friend ended up going ahead to try and finish in the time she wanted to complete for a personal best. I was so grateful for all the training she has done with me and wished her well. Around mile 7, one of the wonderful Team In Training Coaches joined me and another team member to bring it home. As we walked along, the other coaches joined us. As we passed mile 11 we cheered because that was the longest distance I had every walked at one time ever. The last two miles were hard, but I had a great team of encouragers. 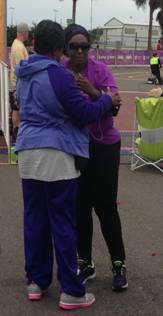 As we round the corner to the finish line, my team mate encouraged me to run across with her and I did. Then I saw my mother and ran straight into her arms. As I cried hugging her, I felt the relief of the past two years of her treatment leave. We were both victorious! Her for completing her treatment and being in remission, and me for training and completing this race as my way of fighting her illness. It was one of the greatest moments of my life. I am so proud of both of us. 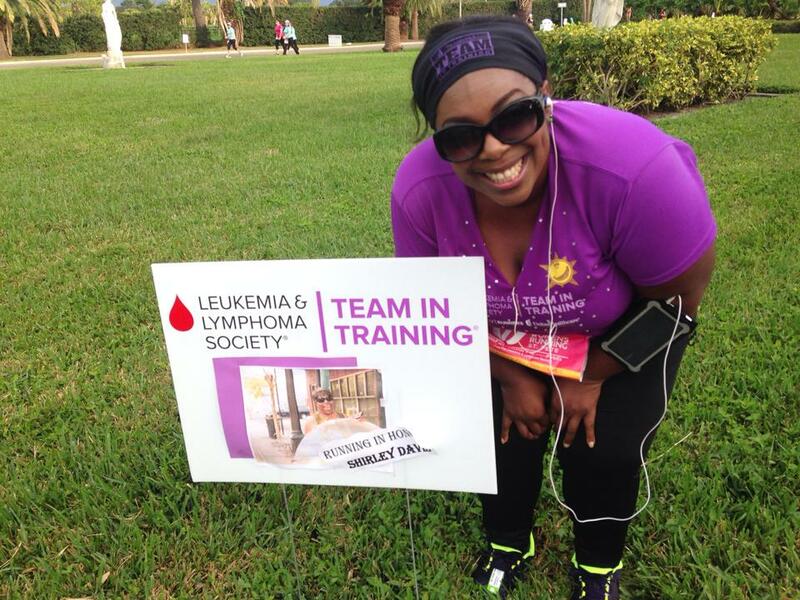 I encourage anyone who wants to help raise money and train to start with Team In Training (www.teamintraining.org). I could not have accomplished this goal without them, my mother, and my good friend Raquel! I have rested this entire week, but I am ready to start training for another cause. Jingle Bell Run for Arthritis is up next!